You are here: Home / Health / Sick and Tired? A Powerful Food Detox Can Change Your Life! Sick and Tired? A Powerful Food Detox Can Change Your Life! Author’s note: This post is the first in a series of posts I wrote during a 21-Day Detox. I decided to call it a “challenge” to drive my focus and energy toward completing all 21 days. Click here if you’d like to read about Day 2, and here if you want to read all of the 21-Day Detox Challenge posts. As the title of this post suggests, I began a 21-day detox, or “cleanse,” program today. Which basically translates to: I’m depriving myself of anything that tastes good for three whole weeks. If you’ve never heard of a detox before, this idea probably sounds crazy (I kind of agree with you). Why would anyone subject themselves to this torture, you ask? Basically, each of us has toxins built up in our bodies. Toxins can include chemicals or anything unnatural found in the things that touch or enter our bodies: air, water, soil, processed foods, pesticide-sprayed foods, body care products, household products, stress, negative emotions, make-up, medications. and many others—pretty much any illness or disease can be improved through a food detox and that’s pretty exciting! So, I figure I’ll give my body a hand once a year and help it flush out some of this gunk. It’s the least I can do, right? In the spring of 2015, I did my first detox through my naturopath’s program. It involved a limited diet consisting mainly of vegetables, certain lean meats and fish, tons of water, a vitamin-rich protein shake (twice a day) and three special supplements to aid in eliminating toxins. The first few days were brutal…I quickly learned I was very addicted to caffeine (one of the things I had to eliminate during detox) so I had headaches the first three days and felt generally horrible all over. This was a definite sign my body was, in fact, detoxing. I like to think that those little toxin monsters were starting to wriggle loose and move around, wreaking havoc, gnashing their teeth and clawing as they moved through my body, and that’s why I felt so terrible! Thankfully, after a few days, I started to feel better and got into a routine. I won’t lie, it was a really challenging 21 days but I actually did it, and guess what? Going without coffee and wine did NOT kill me as I suspected it would! I figure that 21 days isn’t that long in the grand scheme of things, and there are much worse things in life than going without certain foods for a while. I can totally do this, especially if it helps me to feel better! Reduced inflammation: We all have inflammation in our bodies which are places where our body is annoyed (inflamed) for some reason. The pain we feel is a warning sign from our body that we’re putting something in it that doesn’t agree. We tend to not pay attention to inflammation because we can’t see it. It’s on the inside, giving us minor to severe discomfort (and sometimes we don’t even feel it, like inflammation in our arteries which is really scary) but it’s still causing damage to our bodies and over time, it gets worse and can lead to disease. Before the detox, I had many minor aches and pains, stiffness in my neck and back, sore joints, lower back tenderness and eczema. After the detox, all of those symptoms vanished. True story. Feeling more vibrant, more alive: Something about clearing the junk from my system lifted the fog from my brain, my outlook, and my life. It’s hard to describe but everything I experienced was just more clear, more meaningful, more fun. This benefit could have come from the fact that I wasn’t eating foods I was sensitive to (like dairy). I was diagnosed with a milk allergy many years ago but I have not totally eliminated it from my diet. Ingesting even small amounts of dairy may have been causing brain fog and lethargy (signs of inflammation). If you’re serious about investigating your health, I highly recommend having a food allergy/sensitivity test done to see where you stand. Once you know about any potential culprits, you can adjust your diet accordingly and observe how you feel. Food awareness: I’m generally a healthy eater but my diet is nowhere near pristine. Detoxing forced me to think twice about everything I put into my body. Weight loss: I lost about six pounds. I’ll admit, I was hoping for more after all that effort, but six pounds is six pounds! It’s quite common for people to drop 10 or more pounds during detox. The unexplained: I’ve had motion sickness since I was a kid. If I tried to read even a paragraph from a book while riding in the car, I’d immediately feel nauseous. I noticed something odd during my detox (near the end of the three weeks). While on a road trip back from our nephew’s birthday party, I started reading something on my phone. Normally, I have to look out the window after reading a few lines and recover before I can continue reading, and even then, I can only do a few paragraphs. Well, I started reading that day and felt completely fine…all the way through a lengthy blog post. It was the weirdest thing. I can’t say for sure that it was due to the detox but it’s the only thing I could link it to. So you can be encouraged. If you feel like you could benefit from detoxing, go for it. Anyone can do this, it doesn’t take a special kind of person, it just takes a decision. And it doesn’t have to be 21 days either—there are many detox programs out there. Do what you can do (probably a good idea to consult with your doctor or naturopath first, though). Truth is, I’m shaky on my commitment to detoxing this go-round. I’m feeling very stressed with work and the busyness of life so I see the potential to throw my detox plans out the window and forget it. I’d love some accountability. My last detox I only cheated once and ate a potato chip (gasp!!) I was so determined to give the process my full commitment for the greatest benefit in the end. But this detox is a different story…it’s a different time, I’m a different person than I was a year ago, and that’s okay. The point is, I’m doing something positive for my health and whether or not I do it perfectly does not change that fact. I’m excited to see how this spring’s detox goes and I want to share the journey with you. I’ll post every day about the experience (the wins and the flubs) and I’ll post some yummy detox recipes along the way. Eating the right detox foods really isn’t hard—like most good things, it just takes some intentional planning and preparation. How about you? Have you ever gone through a detox program? I’d love to hear how it went. Please leave a comment! Wins: I ate all detox-legal foods today and focused on gratitude for the gorgeous spring day. Literally, the birds were singing, the sky was blue, and the air smelled amazing. What’s not to love? 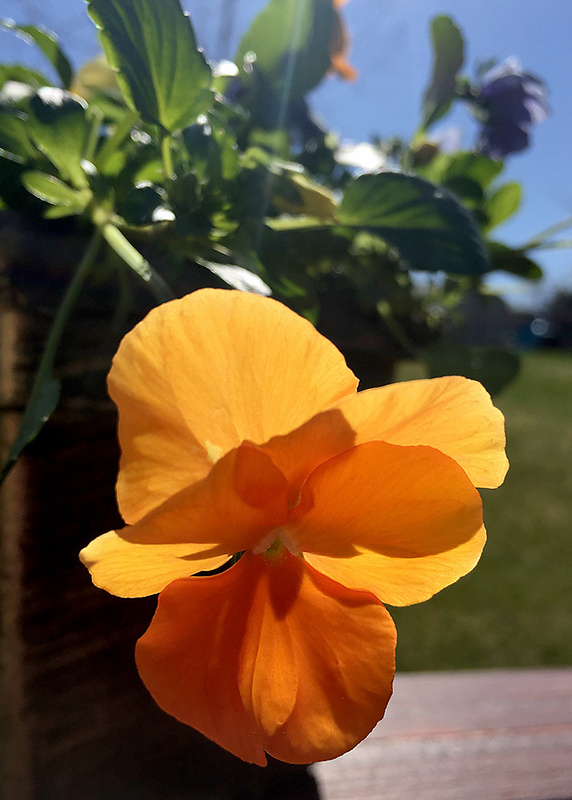 I snapped a photo of my pansies to commemorate the day. 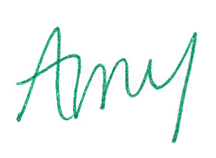 Love reading your blog posts Amy. Honestly, the only blog I’ve ever read. Oh, wow! That’s so nice. Thank you, Nikki. I appreciate the support and I hope what I’m writing is helpful!